Left-wing dictators never step down. Thus says a killer subject called Universal History. 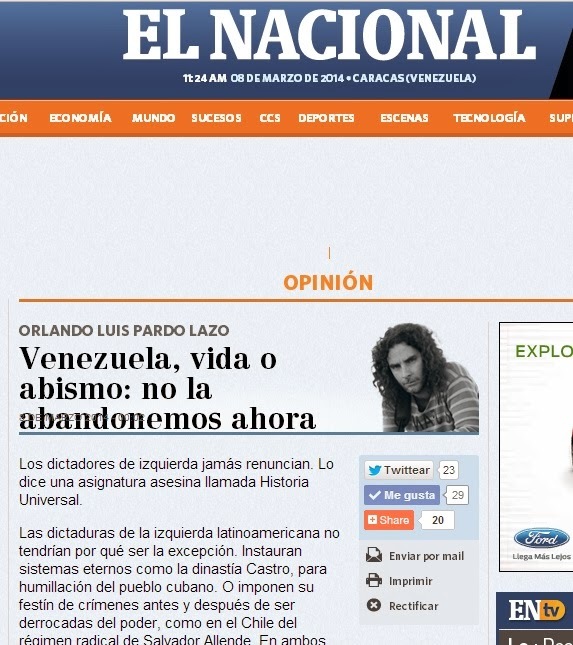 Left-wing Latin-American dictatorships have no reason to be the exception. They institute eternal systems like the Castro dynasty to the humiliation of the Cuban people. Or they impose their feast of outrages before and after being deposed from power, such as in Chile with the radical regime of Salvador Allende. In both cases, the price of any change is criminally high. Today, Venezuela is struggling in the streets between these two limits. They have already gone beyond both.